Shaheen has sourced her stock from the same Dutch suppliers for many years, so reliable are they in their product quality, freshness and expertise. Several times a year she travels to Holland with them to purchase unusual and beautiful sundries for the shop to keep Floral Haven’s offering unique and on point. 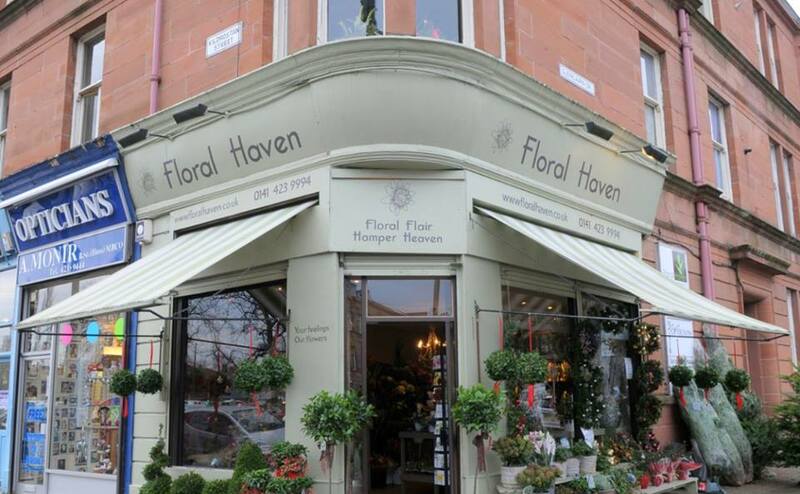 Floral Haven first opened its doors in June 2000, fulfilling the childhood dream of owner Shaheen Khan. Since then the business has grown from acorn to oak under her careful leadership. The shop holds a prominent corner position in the leafy suburb of Pollokshields, Glasgow and the staff are proud to welcome and serve all its customers. Over the years Shaheen and her staff have flowered the important occasions and life events of the residents of Glasgow and surrounds. Locals pop in for their own weekly flowers or to send a gift, couples come from far afield to discuss wedding flowers and long standing client relationships have been built and strengthened. Customers know they can trust Floral Haven for fresh flowers, expertly designed and delivered, catering to all budgets. Small and pretty is just as important as big and showy.